There is nothing as unreal as Life." Thirty two years ago a band called Creeping Ritual was rehearsing and drinking in a cheap studio on Selma Avenue, Hollywood , California . The founder of this band and artistic genius Jeffrey Lee Pierce later was to form the legendary Gun Club . The Gun Club became the seminal swamp-blues, post punk band that had come screaming out of the LA club scene during the 1980 s.
In 1982 Creeping Ritual Music was created by Pierce and later became the soul source for his music publishing. 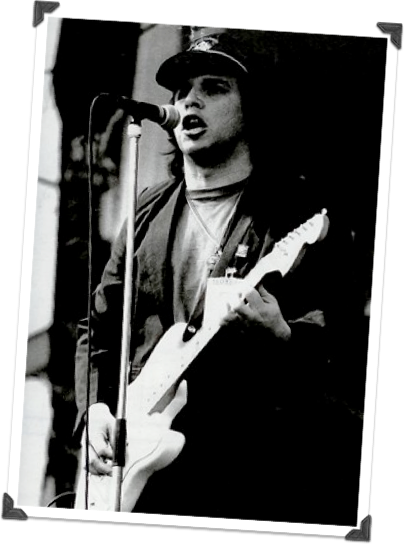 Since the death of Jeffrey Lee Pierce in March 31st of 1996, Creeping Ritual Music then became a vital resource for archiving. Creeping Ritual Productions was formed June 27th 2007, not only as a tribute website to the late Jeffrey Lee Pierce but most importantly it’s main purpose is to archive and protect the legendary memory of this rock and roll samurai. There are many websites and tributes created by passionate fans who admire and respect the music of the Gun Club. We deeply appreciate their dedication and wish to be a part of a network that promotes his legacy. Our mission is to provide information and be a resource for licensing to all media projects. It is important to us that the fire spirit keep burning and the Gun Club’s history remain true. We hope that through this website and through this legendary music that it will inspire all who admire and love Jeffrey and the Gun Club.